Bringing up children is one of the toughest challenges anyone can face. Even with the well-intentioned advice of friends and ‘helpful’ in-laws, and armed with a vast collection of books by parenting experts, most parents struggle. At least some of the time. But if you throw a divorce or separation into the mix, it all becomes much more difficult. Especially for the children. In Scotland today, around one third of children lose contact with one of their parents following divorce or separation. Most commonly they lose touch with their dad, but in some cases this will be with their mum. As a result, many thousands of children are spending their childhoods and beyond without a relationship with one of the most important people in their lives. In the majority of these cases, there are no fundamental reasons why this should happen. Most parents are not a danger to either their children or their ex-partners, and as such it seems quite tragic for both them and their children that they should spend their lives without knowing one another. Indeed, Article 9 of the United Nations Convention on the Rights of the Child states, “Children whose parents have separated have the right to stay in contact with both parents unless this could cause them harm”. Research also highlights the benefits of children staying in touch with both parents. Growing Up in Scotland’s (GUS) longitudinal study, which recently looked at 2,593 families with a child aged 10 years old, found that father-child relationships were equally important to the wellbeing of children as mother-child relationships. In addition, 8 out of 10 children said that their fathers played a supportive role in their lives. Positive relationships with both mothers and fathers were found to be indicative of better social and emotional wellbeing, higher life satisfaction and a better experience of school. 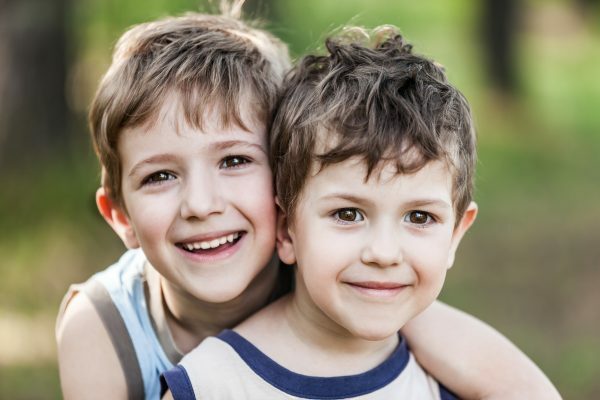 Two services that support families through separation and divorce, and help children to stay in touch with both parents, are family mediation and child contact centres. Family mediation helps separating parents agree plans for the future care of their children, such as where they will live and how often they will see the other parent. Mediation can help avoid the need for court, and separating parents who make their own arrangements are often happier about the outcome than those who go through the formal court process. Child contact centres have operated in Scotland for over 30 years and provide safe, secure and welcoming environments where children can spend time with the parent they no longer live with. Around 2,000 children each year are able to keep in contact with their non-resident parent through the 46 child contact centres that operate as part of the Relationships Scotland Network. These centres are run by both paid staff and many hundreds of volunteers, who give up their time to help families stay in touch in this way. There are of course times when contact after separation might not be appropriate, such as where there has been neglect or abuse involving the children and/or the other parent. In cases where such abuse has been reported, the courts are often tasked with the difficult decision as to whether to allow contact or not. In Scotland in recent years good progress has been made on the understanding of abuse, and the launch last month of the Domestic Abuse Bill by the First Minister is an important milestone on that journey. Whilst it is recognised that abuse can be perpetrated by either gender, it is clear that Scotland still has a significant minority of men who are violent and coercively controlling, and women and children must be kept safe from them following separation and divorce. Relationships Scotland would like to see the introduction of Domestic Abuse Child Safety Reports (specialist risk assessments) which would be undertaken prior to courts making an order for contact, wherever such concerns exist. This would help ensure that contact is only granted when it is safe and appropriate. The new Family Justice Modernisation Strategy and the review of Part 1 of the Children (Scotland) Act 1995, both currently being progressed by the Scottish Government, offer new opportunities to do things better. In addition to new risk assessments, Relationships Scotland also supports the greater use of family mediation and other forms of dispute resolution that empower parents to make their own decisions and help avoid the need to go to court. For Scotland to be truly the best place in the world to grow up, our children must be protected from harm. They should also be supported to have positive relationships with both of their parents whenever it is safe and possible for them to do so. Being a parent remains one of the most challenging and ultimately rewarding experiences anyone can have. In most cases this shouldn’t end after divorce or separation. If we as a country can help navigate a path through these many difficult challenges, our children will thank us in the years to come.